Hello everybody! A few minutes ago my flight from Vancouver just landed in Toronto. The reason im bringing this up is because on my way there the IFE (Inflight Entertainment System) rebooted. What I would like to know is what sort of linux its running and also if you have experienced this before. If so please tell me what happened and what airline it was. This is not a question this is a discussion. I think its all hooked up to a server that has all the movies and shows or maybe a SSD. I know that Panasonic Aviation uses g4u, a NetBSD-based hard disk image cloning software to deploy their in-flight systems. See http://www.feyrer.de/g4u/ to look at the software. Hope you guys have seen this before I am excited to hear your experiences with this stuff. 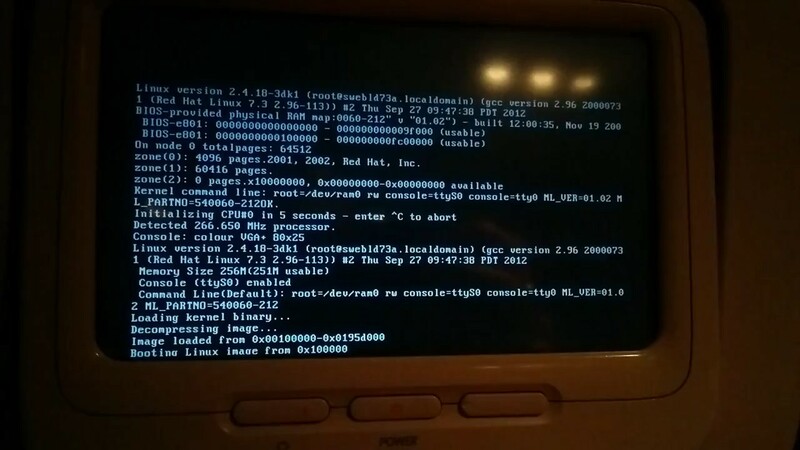 Many airlines use linux based entertainment systems. Some use custom Gentoo or Red Hat as you have seen. BTW this is not code, it is just the system log. Ok but there all hooked up to a main server to get the media. Could it be a linux server? Hate to break the bad news but it is not possible. Based on Red Hat, but the actual part you saw after it booted was all custom by the airline. Could you SSH into the server using the inflight wifi? or is it a diffrent server. If you are sitting next to me, and I see you attempting to hack into the aircraft's system via SSH, there will be two of us going to jail. One uninjured. If we are on the actual aircraft, and you are attempting to access the aircraft subsystems....see above. In any case, for the OP....that is a complete custom job. You can't get it or buy it. You could ask the airline pretty please. You never know. They wouldn't give it to ya. Anyways have you guys seen an ife boot up like this before? Again this is a discussion not a question. I've never seen one do that, but if the system reboots...that is what you will see. Pretty cool...but XBMC blows away any in-flight system I have seen. Transplanted Ubuntu SSD from desktop to laptop - system-wide check-up?